Expect partly sunny skies, with highs in the upper 80s. It's going to be a breezy weekend in South Florida. Saturday will be partly sunny with isolated showers and highs in the upper 80s. For the boaters, a small craft caution is in effect. Expect E/SE winds at 11-16 knots, 2-3 foot seas and a moderate chop on the bay and inland waters. The beach water temperature will be 81 degrees. 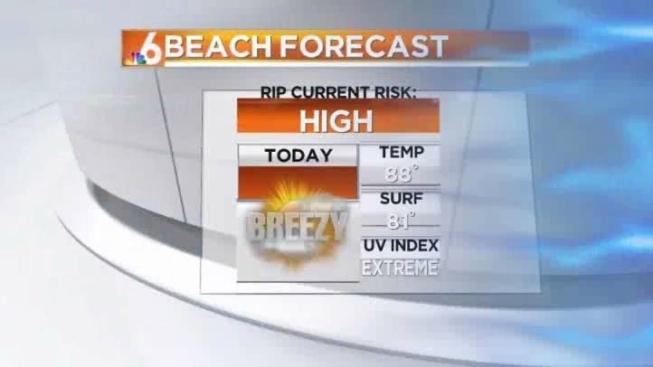 Sunday will see partly sunny skies and breezy highs near 90 degrees.